Draft: 2009, New York Mets, 2nd rd. Steven Jakob Matz graduated from Ward Melville (NY) High School…As a senior, he went 6-1 with a 0.47 ERA in his first seven starts of the season…In 44.0 innings, he allowed 11 hits, 15 walks with 81 strikeouts…Tossed a complete-game, two-hitter with 11 strikeouts in the first round of the Class AA playoff that year...Became the 15th player and the 12th pitcher to appear with the Mets who played high school baseball on Long Island...Became the 999th player in Mets history...Has hosted TRU32 program since the 2016 season...Welcomed 32 police or firemen, military members and other first responders to Citi Field... Each member received a pair of tickets, behind the scenes tour and met with Matz...Raised over $20,000 in 2016 for Angela's House in Long Island via strikeout totals…Angela's House assists families caring for medically frail children living at home with their parents or in special homes that offer 24 hour nursing support...Donated equipment through the Cal Ripken Sr. Foundation to area Little Leagues...Was Santa at the Mets 2015 Holiday party for school children...Spent a week during the 2015-16 offseason in Honduras...Worked with the non-profit group Hearts 2 Honduras...Helped build a three-room learning center and also played baseball with the youngsters...His wife, Taylor, is a country music star in the band The Cains. Made a career-high 30 starts...Also set career-highs in innings (154.0) and strikeouts (152)...Had a 3.38 first-half ERA (36 earned runs/96.0 innings) and a 4.97 ERA after the break (32 earned runs/58.0 innings)...Held opponents to a 15.4 percent line drive rate, the lowest rate in the majors (min. 140.0 innings)...48.8 percent of the balls in play against Matz were grounders, the ninth-highest percentage in the National League (min. 140.0 innings)...Homered in two straight games (September 13 vs. Miami and September 18 vs. Philadelphia), making him one of three Mets pitchers to go deep in two-straight starts (also, Ron Darling, 1989 and Tom Seaver, 1972)...His two home runs were the most by a Mets pitcher since Noah Syndergaard hit three in 2016... Was the eighth time in franchise history a pitcher hit multiple home runs in a single season...Had a 7.28 ERA (24 earned runs/29.2 innings) in the opening frame...In all subsequent innings, posted a 3.19 ERA (44 earned runs/124.1 innings)...Held opponents to a .219 average (52-237) with runners on... With runners in scoring position, held opponents to a .232 average (32-138), including a .213 (13-61) mark with RISP and two outs...Opponents batted .154 (2-13) with the bases loaded...Recorded a 2.25 ERA (six earned runs/24.0 innings) in five May outings, his best ERA in any month...That 2.25 ERA ranked 11th among NL pitchers who made at least five starts in May...In six September starts, owned a 2.51 ERA (nine earned runs/32.1 innings) and held opponents to a .170 (19-112) average...Threw eight quality starts in his last 10 home outings and posted a 2.90 ERA (20 earned/62.0 innings) in that span...In 15 starts overall at Citi Field during the 2018 season, went 1-6 with a 3.59 ERA (34 earned runs/85.1 innings)...Opponents batted .209 (64-306) against Matz at Citi Field, 12th best in the NL...Matz held opposing batters to a .227 BABIP at home, which was the lowest in the NL. Underwent surgery to decompress and reposition the ulnar nerve in his left elbow on August 23...The surgery was performed at the Hospital for Special Surgery...Was placed on the 10-Day Disabled List on August 22, retroactive to August 19...Made his last start on August 17 vs. the Yankees...Began the season on the 10-Day Disabled List with left elbow inflammation...Went 0-1 with a 6.06 ERA (11 earned runs/16.1 innings) in four combined rehabilitation starts between St. Lucie (A) of the Florida State League and Las Vegas (AAA) of the Pacific Coast League...Made his season debut in Game 2 of a doubleheader on June 10 at Atlanta...Earned the win, tossing 7.0 innings and giving up just one earned run...Had back-to-back scoreless starts, June 28 & July 3, as part of a 17.0 scoreless inning streak from June 22-July 3...Picked up his 200th career strikeout on August 6...Became the eighth Mets starter in franchise history to strikeout 200 or more batters in their first 39 career starts, joining Dwight Gooden, Matt Harvey, Noah Syndergaard, Jacob deGrom, Sid Fernandez, Zack Wheeler and Nolan Ryan...Recorded his 15th career victory with his win on June 28 at Miami in his 32nd career start, the second-fastest of any pitcher who began their major league career with the Mets... Only Dwight Gooden (28th game) reached 15 wins faster...Over his final nine starts of the season, went 0-6 with a 8.39 ERA (37 earned runs/39.2 innings)...Was called on to pinch-hit with the bases loaded on June 14 against the Cubs and reached on an infield single to drive in a run...Was the second pitcher in franchise history to drive in a run as a pinch hitter...Dwight Gooden accomplished the feat on October 3, 1993 against the Marlins. Had a bone spur removed from his left elbow on October 4 at the Hospital for Special Surgery... He also received a PRP injection in his left shoulder...Placed on the 15-Day Disabled List on August 22 (retroactive to August 15) with left shoulder tightness... Was shut down for the remainder of the season...Was tied for sixth in the NL Rookie of the Year voting...In his final start of the season, a 5-1 win vs. San Diego on August 14 at Citi Field, he tossed 7.1 no-hit innings before he allowed a single to Alexei Ramirez.. It was the deepest a Mets pitcher had taken a no-hitter since Johan Santana no-hit the Cardinals on June 1, 2012...Was named the National League Rookie of the Month for May, going 4-0 with a 1.31 ERA (five earned runs/34.1 innings) in five starts...Struck out 31, walked five and limited opposing hitters to a .172 average...Won nine games, tied for the fourth most by a rookie lefthander in team history with Al Jackson (1962)...Only Jerry Koosman (19 wins in 1968), Jon Matlack (15 in 1972) and Hisanori Takahashi (10 in 2010) had more...His nine wins were tied for the sixth most among major league rookies...His 129 strikeouts ranked sixth among rookies, while his 8.77 K/9 ranked fourth (min. 100 innings)...His 3.40 ERA (50 earned runs/132.1 innings) was the fifth-lowest ERA (min. 100 innings)...Began the year 7-1 with a 2.36 ERA (13 earned runs/49.2 innings) in his first eight starts of the season... Struck out 50 and walked nine...Earned the win in seven consecutive starts from April 17-May 25... The last Met to win seven consecutive starts was Steve Trachsel from June 9-July 14, 2006...Over the stretch, he allowed two runs or fewer in all seven games...According to Elias, only four other rookies since 1920 won at least seven consecutive starts while giving up no more than two runs in each appearance...Boo Ferriss (eight straight in 1945), Fernando Valenzuela (eight in 1981), Cal Eldred (seven in 1992) and Jered Weaver (seven in 2006)...Went 11-1 in his first 14 career regular season games...According to the Elias Sports Bureau, since 1900, he is one of two lefthanders to win 11 of their first 14 major league starts...The other was Kazuhisa Ishii for the Dodgers in 2002...Became the first pitcher in franchise history to win 11 of his first 12 major league decisions...Walked two batters or fewer in 19 of his 22 starts...He walked four of 113 batters faced with runners in scoring position...Went 5-2 with a 1.29 ERA (seven earned runs/49.0 innings) in seven daytime starts...In 10 career starts during the day, he's 7-2 with a 1.46 ERA (11 earned runs/68.0 innings)...His 13 wins are the fourth-most wins in Mets history through a pitcher's first 28 career starts...Dillon Gee has the third-most with 14 wins and Dwight Gooden has the second-most with 15...Jerry Koosman leads with 16 wins. Became the first pitcher in Mets history to allow two runs or fewer in each of his first five major league starts...His 1.80 ERA after five games was the lowest for any pitcher in team history after five career outings with at least 30.0 total innings pitched...After six games, his 2.27 ERA trails Dillon Gee (2.09) and Tom Seaver (2.21) for the lowest mark in franchise history after six major league outings...Joined Jason Jacome as the only pitchers in Mets history to win four of their first five career games...Became the first Mets pitcher to begin his career 4-0 after five career games or starts... He became the third pitcher in team history to remain undefeated after his first six career starts...Joined Eric Hillman (1992) and Mike Scott (1979)....Is the third pitcher since 1901 to finish his first season 4-0 or better after making at least six starts...Also done by Kirk Reuter (8-0, 1993, Montreal) and Pat Combs (4-0, 1983, Philadelphia)...Recalled from Las Vegas (AAA) on June 27 and made his major league debut on June 28 at Citi Field...Earned the win in the Mets 7-2 victory against the Reds...Pitched 7.2 innings, allowing two runs, earned, on five hits, striking out six and walking three...Became the sixth pitcher in club history to throw at least 7.2 innings in his big league debut and the first since Brent Gaff also pitched 7.2 innings on July 7, 1982…Was the first Met to win such a start since Gary Gentry tossed 8.2 innings to beat Montreal on April 10, 1969…Was the first Met to throw 7.2 innings and allow five or fewer hits in his debut since Randy Tate allowed five hits in 8.0 innings in his first career game on April 14, 1975 at Philadelphia....Went 3-for-3 with four RBI in his major league debut, including a two-run double in his first at-bat…His four RBI set a franchise record for any player's major league debut…Was the only pitcher and the 26th player in the last century to collect at least four RBI in his big league debut… He was the sixth pitcher in Mets history to record four RBI in a game…Last done by Dwight Gooden on May 11, 1990…His three hits tied a Mets record for any player's major league debut and tied a club record for a pitcher in any game... Was the seventh pitcher in the last century and just the second in the last 70 years with at least three hits in his major league debut...Also became the 11th player and first pitcher in the last century to record at least three hits and four RBI in his major league debut...He is the second pitcher in franchise history to have three hits and four RBI in one game…Also done by Dwight Gooden against the Pirates on September 21, 1985 at Shea…The only other major league pitcher to have such a game since 2008 was Cliff Lee against Miami on September 16, 2013...Threw 54.9% of his pitches inside the strike zone...That mark would have ranked first among major league starters if Matz qualified... After a first-pitch strike, batters hit .185 (12-for- 65) against him with two walks and 26 strikeouts...With runners on base, batters hit .188 (12-for- 64) against him, including .156 (5-for-32) with runners in scoring position.... Was placed on the Disabled List on July 10, retroactive to July 6, with a partial tear of the lat muscle on his left side...Was reinstated from the DL on September 1...In four minor-league rehab starts, two each with St. Lucie and Binghamton, he went 1-0 with a 1.20 ERA (two earned runs/15.0 innings)....Ranked first in the Pacific Coast League with a 2.19 ERA and 94 strikeouts at the time of his promotion...His seven wins were tied for the most in the PCL, while his .213 opponent batting average was third-best. Appeared in six regular season major league games prior to starting Game 4 of the World Series...According to the Elias Sports Bureau, that is tied for the fewest career regular season games at the time a pitcher made his first major league World Series start...Marty Bystrom also had six regular season appearances before starting Game 5 of the 1980 World Series for the Phillies (also against Kansas City)...Matz' six regular season starts are the third-fewest before his first World Series starts behind Joe Black's two starts in 1952 for Brooklyn and Bystrom's five career starts in 1980...Became the first Mets pitcher born in New York to start a playoff game for the Mets...Received a no-decision in the Mets' win in Game 4 of the NLCS at Wrigley FIeld...Started the series-clinching game and pitched 4.2 innings (allowed one run and struck out four). Named the Sterling Organizational Pitcher of the Year...He finished the minor league regular season with a 10-9 record and a 2.24 ERA (35 earned runs/140.2 innings) with 131 strikeouts in 24 games, all starts, over two levels...Hurled 7.1 no-hit innings on September 12 vs. Richmond in the EL clinching game...Finished with a no-decision, working 7.1 innings, allowing two hits, one run...He issued two walks and struck out 11 in a 2-1 victory...Started his season with St. Lucie (A) of the Florida State League, going 4-4 with a 2.21 ERA (17 earned runs/69.1 innings) and earning a selection to the FSL mid-season All-Star team...Promoted to Binghamton (AA) of the Eastern League, where he made 12 starts and compiled a 6-5 record with a 2.27 ERA (18 earned runs/71.1 innings)...Finished with the second-best ERA among all Mets minor leaguers and had the second-highest strikeout total. Completed his first full injury-free season in the minors... Struck out 121 in 106.1 innings (10.24 strikeouts per nine innings) for Savannah (A) of the South Atlantic League…Allowed 86 hits in those 106.1 innings... Helped lead the Sand Gnats to the SAL Championship…Went 2-0 and did not allow a run in 12.2 innings during the postseason while racking up 17 strikeouts... Compiled an ERA under 2.00 in three months, 1.96 in four games in April, 1.54 in four contests in June and 1.59 in three games in July... Struck out a season-high 10 on June 14 vs. Greenville…Fanned nine on three other occasions... Turned in a 7.0-inning complete game shutout to turn back Greenville on July 6…Allowed three hits, with three walks and five strikeouts... Righthanded batters hit .214 (63-294) against him, while lefthanded batters hit .261 (23-68) against him. Made his professional debut with six starts for Kingsport (R) of the Appalachian League. Missed his second straight season while recovering from Tommy John surgery. Did not pitch before undergoing Tommy John surgery on May 18, 2010. August 16, 2018 New York Mets activated LHP Steven Matz. August 3, 2018 New York Mets placed LHP Steven Matz on the 10-day disabled list retroactive to August 1, 2018. Flexor pronator strain in left arm. November 3, 2017 New York Mets activated LHP Steven Matz from the 60-day disabled list. June 10, 2017 New York Mets activated LHP Steven Matz from the 10-day disabled list. May 22, 2017 New York Mets sent LHP Steven Matz on a rehab assignment to Las Vegas 51s. May 18, 2017 New York Mets sent LHP Steven Matz on a rehab assignment to St. Lucie Mets. April 2, 2017 New York Mets placed LHP Steven Matz on the 10-day disabled list retroactive to March 30, 2017. Left elbow inflammation. October 6, 2016 New York Mets activated LHP Steven Matz. October 5, 2016 New York Mets reassigned LHP Steven Matz to the minor leagues. October 3, 2016 New York Mets activated LHP Steven Matz from the 15-day disabled list. August 22, 2016 New York Mets placed LHP Steven Matz on the 15-day disabled list retroactive to August 15, 2016. Left shoulder tightness. September 1, 2015 New York Mets activated LHP Steven Matz from the 15-day disabled list. August 24, 2015 New York Mets sent LHP Steven Matz on a rehab assignment to Binghamton Mets. August 15, 2015 New York Mets sent LHP Steven Matz on a rehab assignment to St. Lucie Mets. June 28, 2015 New York Mets recalled LHP Steven Matz from Las Vegas 51s. April 7, 2015 LHP Steven Matz assigned to Las Vegas 51s from Binghamton Mets. March 22, 2015 New York Mets optioned LHP Steven Matz to Binghamton Mets. September 29, 2014 New York Mets recalled Steven Matz from Binghamton Mets. June 19, 2014 LHP Steven Matz assigned to Binghamton Mets from St. Lucie Mets. April 3, 2014 LHP Steven Matz assigned to St. Lucie Mets from Savannah Sand Gnats. March 10, 2014 New York Mets optioned LHP Steven Matz to Savannah Sand Gnats. November 20, 2013 New York Mets selected the contract of Steven Matz from Savannah Sand Gnats. June 8, 2013 Steven Matz roster status changed by Savannah Sand Gnats. May 29, 2013 Savannah Sand Gnats placed LHP Steven Matz on the 7-day disabled list. April 3, 2013 LHP Steven Matz assigned to Savannah Sand Gnats from Kingsport Mets. September 20, 2012 Steven Matz roster status changed by Kingsport Mets. August 17, 2012 Kingsport Mets placed LHP Steven Matz on the 7-day disabled list. June 1, 2012 LHP Steven Matz assigned to Kingsport Mets. September 22, 2011 GCL Mets activated LHP Steven Matz from the 60-day disabled list. 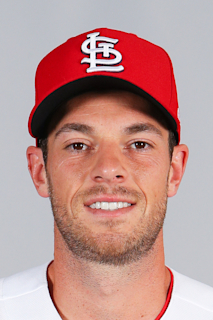 July 22, 2011 GCL Mets placed LHP Steven Matz on the 60-day disabled list. September 21, 2010 GCL Mets activated LHP Steven Matz from the 60-day disabled list. June 27, 2010 GCL Mets placed LHP Steven Matz on the 60-day disabled list. June 21, 2010 LHP Steven Matz assigned to GCL Mets from New York Mets. August 17, 2009 New York Mets signed LHP Steven Matz.